Dr. Price MD, FAAP Director of IHDI and Professor of Orthopeadic Surgery University of Central Florida. ​"There is plenty of room for the baby to kick and move the hips", according to Dr. Price. 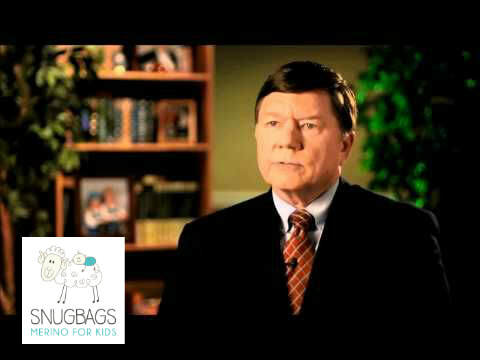 "Therefore the International Hip Dysplasia Institute acknowledges SNUGBAGS as a 'hip-healthy' product." ​Dr. Price says: "It is our intention to acknowledge socially conscious companies that are doing their best to provide products to promote optimum hip development. And the IHDI recognizes that SNUGBAGS has developed products that consider the importance of healthy hip development during infancy. This is especially important during the early stages of hip development in the first three months after birth." ​Owner of SNUGBAGS Kim Snel is very proud to have received the "hip-Healthy" acknowledgement. "We work very hard to provide products for parents that they can trust and know that are safe. To have the endorsement from an independent organization as the International Hip Dysplasia Institute in the USA gives us real credibility and makes us stand out from the crowd."